Bobby Bellflower is a Neonatal Nurse Practitioner with extensive experience in clinical practice, education, and administration. Her undergraduate nursing degree is from University of Memphis, and her masters and doctorate is from University of Tennessee Health Science Center (UTHSC). Currently, she is the Director of Doctor of Nursing Practice (DNP) Programs at UTHSC in Memphis, TN and does her clinical practice at Regional One Health, Level IIIc NICU. 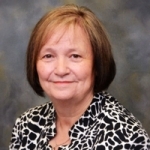 In the past, she served as director of the NNP program at UTHSC and, most recently (2010-2016), was the manager of the NNP Service at Le Bonheur Children’s Hospital in Memphis. Her research interests include prevention of NEC in neonates, evidence-based practice for APRNs and bedside nurses, and QIs. Although survival rates and morbidity of premature and ill newborns have improved over the past decades, Necrotizing Enterocolitis (NEC) remains a significant problem for premature babies. NEC is a disease process that continues to contribute to mortality and morbidly in the Neonatal Intensive Care Unit (NICU). Recent studies indicate there are ways to diminish the incidence of NEC and research is actively looking for ways to prevent NEC. The presentation will discuss presumed causes and pathophysiology of NEC, current treatment guidelines including drug treatment, and will look at ongoing research to prevent NEC.